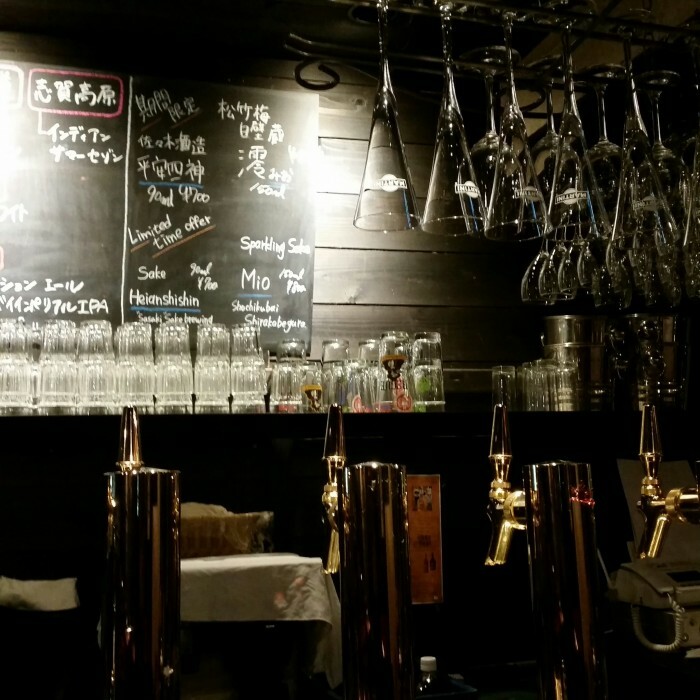 While Kyoto might not have as robust of a craft beer scene as Tokyo, there are still a few good craft beer bars to be found in the city. 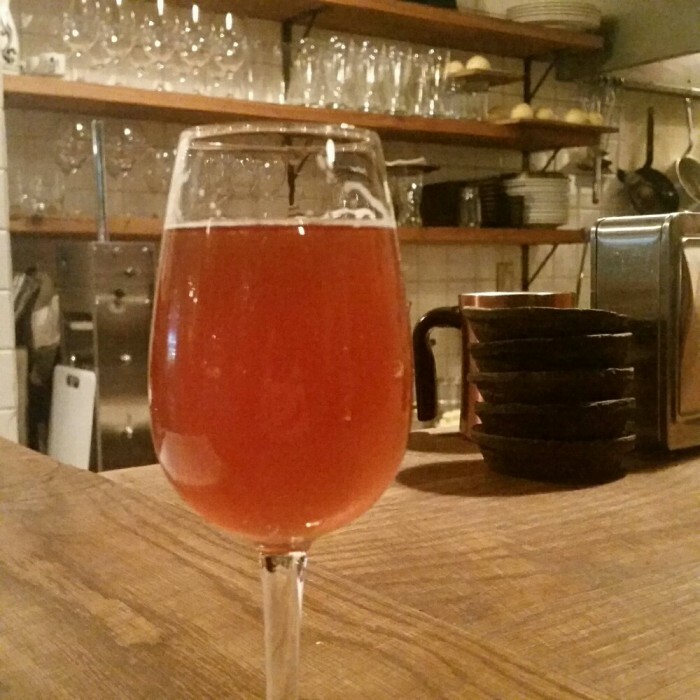 Here is my guide to the best craft beer in Kyoto. While Bungalow may only have 10 taps, what it lacks in quantity, it makes up for in quality. I had several great beers here, including some creative ones such as a beer brewed with sake yeast called Beer Hearn Orochi. While some might scoff at the notion of going to a foreign country and drinking craft beer rather than some traditional local drink, those uniquely local beers are precisely why I enjoy seeking out local offerings. Add in their great food menu, and you have yourself a nice bar. 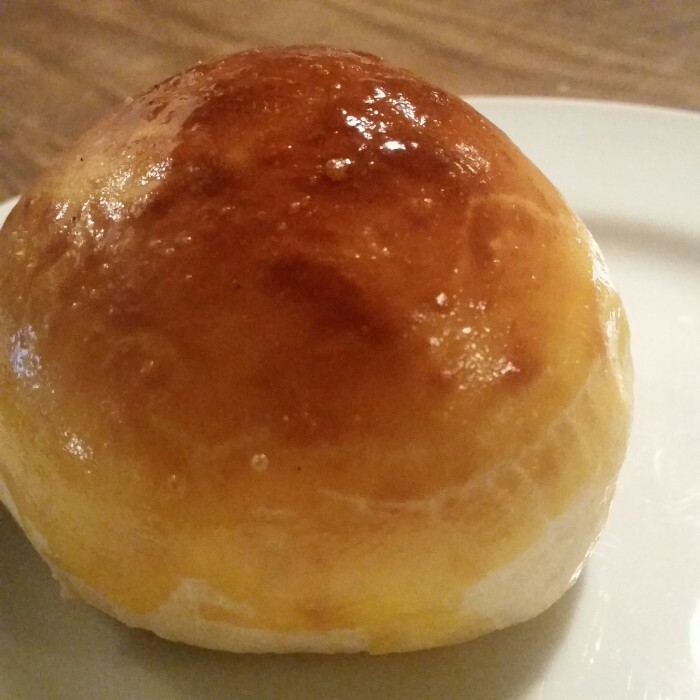 While Bungalow has some izakaya dishes, their secret weapon is freshly baked bread. It’s simple, and it’s amazing. You’d never expect to go to Japan to have some of the best bread of your life, but this was delicious. It’s so popular that as soon as it comes out of the oven, everyone in the bar buys some. Bungalow is also an interesting building, as the entire walls are formed by plastic flaps. 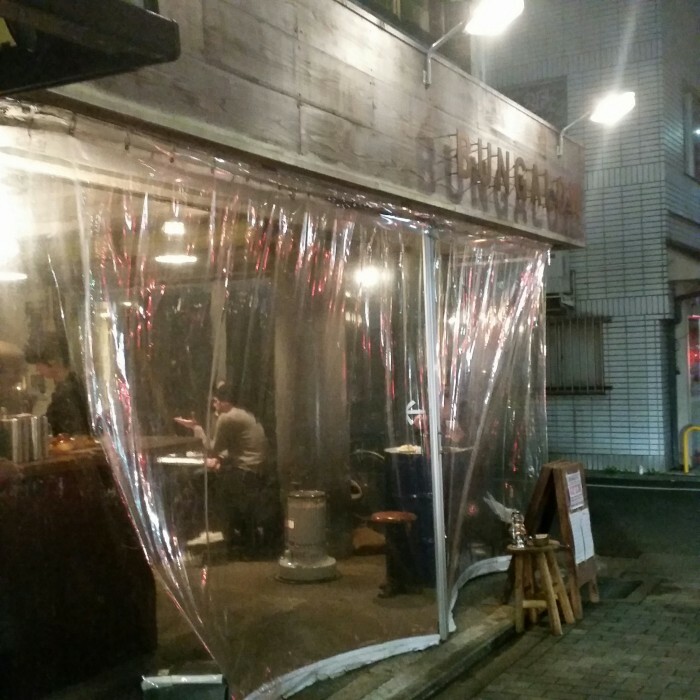 In the winter, it’s enough to keep the cold out, and imagine that the restaurant is quite pleasant in the summer when the plastic is presumably rolled up. 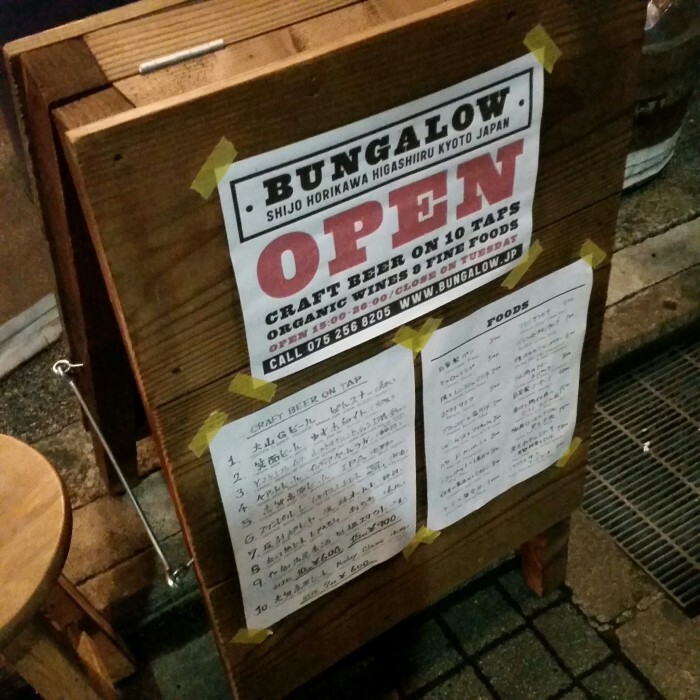 This is a can’t-miss craft beer bar in Kyoto. First off, this is a confusing bar to find, as there are two listings on Google Maps. One is for Gastro Pub Tadg’s, the other is for Tadg McLoughlin’s Irish Bar. The first one is the correct one. The bar is located north on Kiyamachi Street from Kyoto Shiyakushomae station. 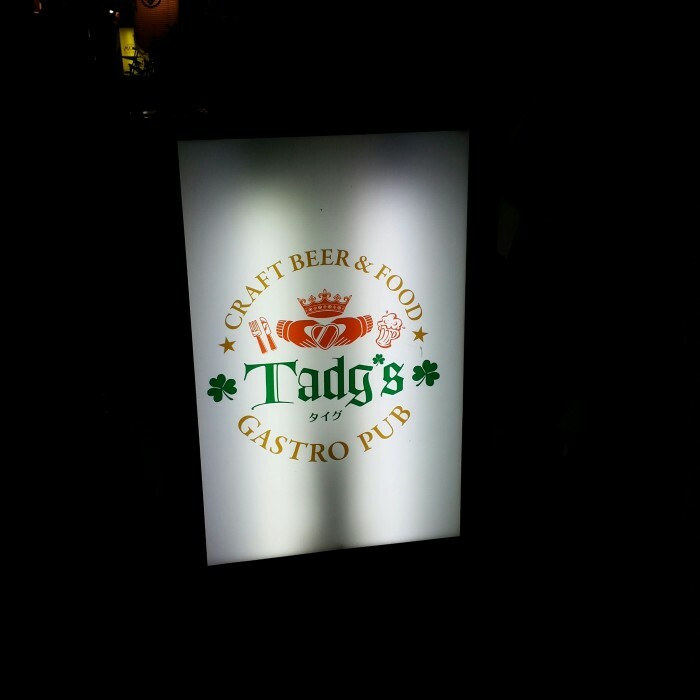 Tadg’s has about 8-10 taps of Japanese beers, along with Irish food such as fish & chips. It’s a nice place for drinks from breweries such as Baird, Tamamura Honten, and Ise Kadoya. I enjoyed talking with the staff (well, the one of them who spoke English). Bonus: Less than a block away from the bar, on the way back to the train station is a great liquor store with a nice selection of beer bottles and Japanese whiskies that you can take home with you. I can’t recall or find the name, but it’s easy to find in between the station and the bar. My first attempt to visit Beer House Craftman was a bust, as the bar was unexpectedly closed, most likely due to it still being close to the New Year. I’m glad I went back, as this bar has a great selection of Japanese craft beers. 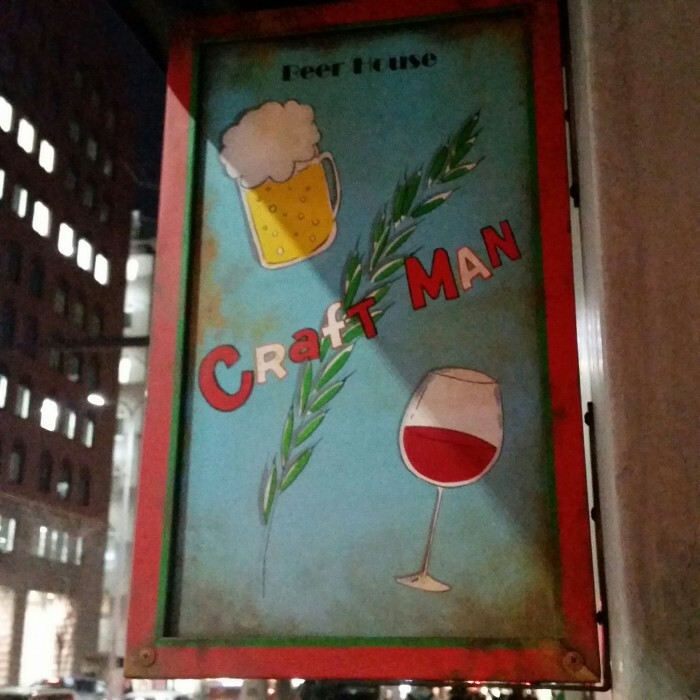 With around 25 taps, Craftman has the largest selection in Kyoto. You’ll find everything you want here, from stouts to IPAs. One drawback is that the bar area is small, and there were no seats, so the amount of time one can spend there depends on one’s tolerance for standing. There is a restaurant area further to the back, but I was there to drink. I had a nice conversation with some other tourists, and also made a few other bar recommendations to them. There are a couple of other beer bars that I did not try while I was in Kyoto, but are highly rated. The first, Wachi, has a large bottle selection from around the world, including many from Japan. The second, Bouzu Bar, is run by a monk. It has a variety of Japanese drinks, including microbrews. 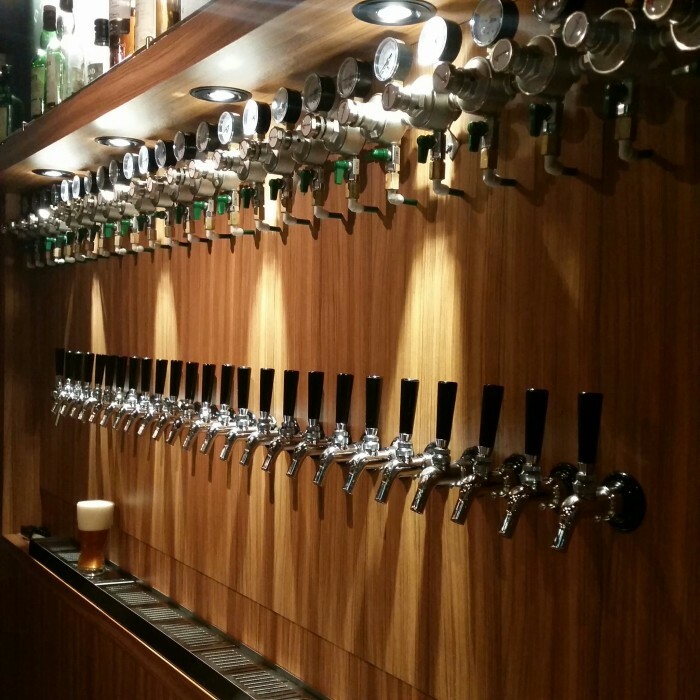 While Kyoto’s craft beer scene may be small, there are still some quality places to visit. The nice thing about these beer bars is that they’re all located within walking distance of each other in central Kyoto, with all except for Tadg’s being closest to Karasuma station. With the right hotel planning, you could easily stumble your way home from any of them.